Contracts for Difference can be executed with a variety of types of orders. Orders can be thought of as commands to brokers for the trades you want to make. The easiest type to understand is the market order, which is simply a long or short position in the underlying asset. The limit order is a command to the broker to either buy (or sell) when the price is higher (or lower) than a specified market price. In the case of a limit order to buy a CFD with gold as the underlying asset, your goal would be to enter the order at a price lower than the current market price. So instead of getting in at $1200, you could set the order for $1190 to gain more from the upward move that you think will happen. If you are patient and trade longer-term, this order is referred to as Good Till Cancelled. On the other hand, you may want to adjust your limit orders daily if they do not go through and to reflect market conditions. Utilizing limit orders can also help reduce the costs of trading CFDs. If the current market conditions do not present any opportunities with market orders, other types of orders can be used to take advantage of dynamic situations. With a market order, you would want to find a good entry point but with a limit order you are systematically setting the entry point. For example, instead of putting in a market order for gold when you think it will appreciate, you could put a limit order at the price you think that the upward move will have enough momentum to generate further rises and therefore decent profits. Limit orders can also be used to close trades, i.e. for take profit levels. Suppose you gave a market order at $1200 and you think the price will reach around $1290 before retracing. You could then give a limit order to your broker to sell at $1290. This means that once the price reaches $1290, the broker will sell and locks in your profits if the price hits this level. 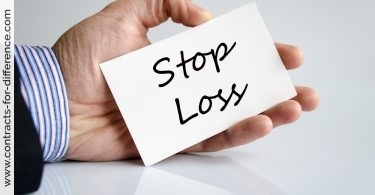 You could also make a limit order to limit your losses. Suppose you are prepared to let the price hit $1170 before deciding the rally has run out of steam. You can place a limit order to sell the CFD just above $1170. The loss in the case of your analysis being wrong is $30, while if you are right, you gain $90. Because you have two limit orders, the long position will be closed out according to your expectations. 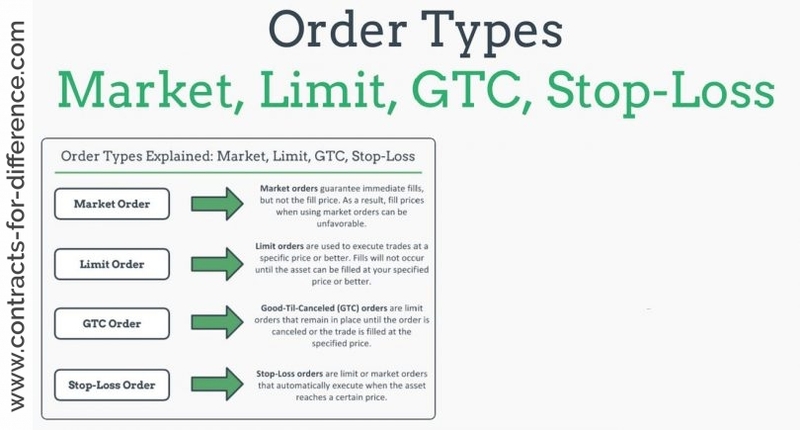 Limit orders can provide structure to your trades by limiting losses and locking in profits. 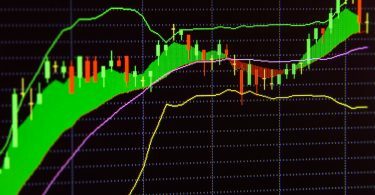 However, when markets are volatile, limit orders may not be fulfilled as the price may move rapidly, swinging up and down in a reaction to major news for example. If the price moves above $1290 briefly but then sharply retraces to $1280, your limit order to sell at $1290 may not be filled. In this case you will be left with the securities until there is more liquidity in the market. However, if the price closes above $1290 as part of a steady uptrend or after volatile moves it remains above that level, the order will be filled as your broker can get a buyer for the market price.